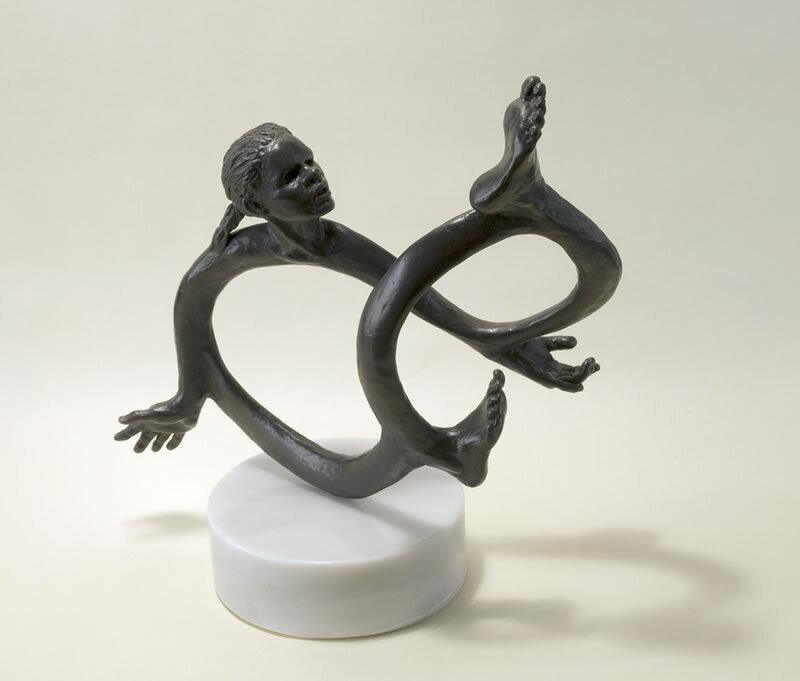 The face, hands, and feet of an athlete emerge from a Möbius strip, which is in the shape of a figure-of-eight. The one-sided nature of the M�bius strip represents perpetual motion and continuity; the figure-of-eight symbolizes spirit and harmony. The torso of the athlete is omitted to give a sense of weightless agility. The strip is attached to the marble base at a single point so that the face, hands, and feet are suspended in space to create the feeling of perpetual movement.